Welcome to Cedral Caribe REALTORS® in Cozumel Island, Mexico. We are a TEAM of Lifestyle Consultants, above and beyond real estate brokerage. When you work with Cedral TEAM of Brokers, you are working with state licensed & federally certified real estate brokers, whose paramount goal is your successful venture. Success in selling your Cozumel home for the best price, in the least time, while safely maximizing your return of investment with zero hassles. The Mexican Caribbean, with all its white sandy beaches and sunny days, is the perfect place in paradise for retiring or to invest in a second home. With the escalating growth rates and property appreciation, Cozumel is an inviting environment for your real estate investment. Our brokerage firm specializes in sale & purchase of newly built residential developments; townhomes, luxury condos, marina, oceanfront & golf course villas in the Mexican Caribbean; Cozumel Island, Cancun and the Mayan Riviera. Is Cedral only a residential developer (architect services & construction company) or is Cedral a Real Estate Agency? Fully bilingual, licensed, certified, registered and managed by degree-holding specialists in BOTH fields. Whether you want to sell or purchase an existing home, or have us develop one for you, make a safe, relaxed & peace-of-mind decision to invest in Paradise. Contact Cedral TEAM. We are trained and dedicated to assist you with all aspects of your real estate needs. Property appraisal service: market value appraisal, direct cost appraisal (reposition value), Investment Return Rate method appraisal. Our real estate appraisals are done using Standards of Professional appraisal practice & methods, not some wild guess without substance. When necessary, coordinate third-party appraisals. Tax consultant service; we will find and establish the best course of action to get you the most suitable tax strategy applicable to your sale. We are specialists in marketing, negotiation and deal closing in the sale intention of your Cozumel undeveloped land, home or condo. Assist you to secure real estate financing through your selected financial source. Our professional liability and fiduciary responsibility ends until the moment we hand the registered title to the real estate Buyer and the agreed payment is received in full by the Seller. Tips and professional advice on relocating to Cozumel. Legal translations (English-Spanish, Spanish-English) through our in In-house legal translator. Resident Visa (Temporary or Resident) and Legal Services through our Associated Legal Counsel. The next best thing to buying a home in the Caribbean Island of Cozumel Mexico, is buying a Cedral Homes signature house. Check our portfolio of developed projects in Cozumel, and let us build your personal dream for you. HOW DO I FIND MY COZUMEL DREAM HOME? In today's competitive Cozumel real estate market, timing is everything. Many good homes are sold before they are ever advertised. Cozumel is indeed a beautiful island, and good opportunities rarely keep up with the scaling demand. Succeed in your search for the right home from among the new options and top homes for sale in Cozumel by requesting our FREE New Listing Notification service (unsubscribe any time). Find our real estate listings in a Map using Google Earth technology and Street map imagery. Check the menu for the Advanced Search feature, in order to determine your search criteria for Cozumel properties from our listing database. Choose to be notified about all new listings that meet your search criteria. All new listings added to our system that match your criteria will be emailed to you by our TEAM of Brokers. If you have any specific questions about buying or selling real estate in Quintana Roo, Mexico, please do not hesitate to contact us. We will happily assist you in your search for the perfect piece of real estate. If you have general questions about Cozumel, feel free to ask as well. We are full-time & long time residents of Cozumel and consider ourselves savvy in this field. Please feel free to browse through our website for listings, reports and important local real estate information. Why choose real estate in Cozumel? There are a number of good reasons for high demand. Obviously, much of Cozumel's appeal comes from its unspoiled beaches, great weather, and endless activities. However, Cozumel is also a cultural nexus, where Mexican and Mayan cultures blend seamlessly with other Caribbean influences to create a place that can only be called, "paradise." Another reason that Cozumel real estate is in such high demand is due the high number of Mexican nationals and ex-pats from the United States who are eager to live in a place that is vibrant, safe, and affordable. Cedral Caribe REALTORS®, our goal is help clients find the perfect piece of Cozumel property where they can enjoy their chosen lifestyle to the fullest. What is your ideal Cozumel lifestyle? To live the life you've always dreamed of, it helps to know that Cozumel offers modern amenities at an affordable price, making it one of the top places in the world for buying real estate. Whether you plan on spending your free time relaxing on the beach or enjoying some of the best fishing in the world, it helps to know that you will also have access to quality health care and modern amenities. What follows is a breakdown of some basic information about living in Cozumel that you can consider when making your real estate purchase with Cedral Caribe REALTORS®. Cost of Living - You will find that food prices in Cozumel are affordable and diverse. Labor is also quite cheap. Prices for painters, electricians, housekeepers, and plumbers are shockingly low, and can help you turn a piece of real estate into the home of your dreams for next to nothing in cost. Property taxes are also a fraction of what they are in the States, and the money you save will help you get the most out of your Cozumel life. Modern Amenities - Buying real estate in Cozumel doesn't mean that you'll have to sacrifice the modern conveniences you've come to enjoy. Electricity is available to keep your home at your desired comfort level. Cable television features English broadcasts, so you can stay up to date on all the latest news and entertainment. Supermarkets and Box Stores offer access to quality foods at an affordable price for any size family. And Cozumel even has a modern Cineplex Movie Theater with air conditioning to enjoy entertainment on the silver screen. Health Care - Not only does Cozumel offer quality medical care from dedicated professionals, many United States insurance companies offer regional coverage. Dental care is also affordable on Cozumel, with prices typically running less than half of what they cost in the US. Nearby hospitals in Cancun and Merida offer emergency and specialized care in their world-class medical facilities. Prescription drugs are also far cheaper than in the States and most do not even require a prescription. Dining - The food on Cozumel is some of the best anywhere. Mexican and Caribbean cuisine made from fresh fish and tropical fruits are ridiculously cheap. Yucatan style pulled pork (Cochinita Pibil) is another Cozumel delicacy you shouldn't miss. Natural Wonders - Cozumel and the surrounding region have an abundance of flora and fauna that provide a beautiful backdrop to magnificent sunsets and endless beaches. The ocean is alive with corals, tropical fish, and marine mammals that offer daily thrills to nature enthusiasts. Outdoor Activities - There are endless opportunities to enjoy the outdoors when you live in Cozumel. Spend a morning snorkeling or diving on the reef, and an afternoon soaking in the sun on a sandy beach. Charter a Cozumel fishing boat and fish for countless species of fish, including famed, sportfish like marlin and dorado. Boating, sailing, and swimming are also popular outdoor sports in Cozumel, but there are far too many to list here. Ask us, we will be happy to share with you our favorite spots and activities. Culture - A number of festivals and holiday celebrations brings Cozumel to life throughout the year. From Day of the Dead to Carnival, there are endless opportunities to immerse yourself in the Mexican and Caribbean culture while enjoying the good life on your real estate in Cozumel. You are also very close to some of the most incredible Mayan ruins in Mexico, where it's easy to imagine what life was like many centuries ago. 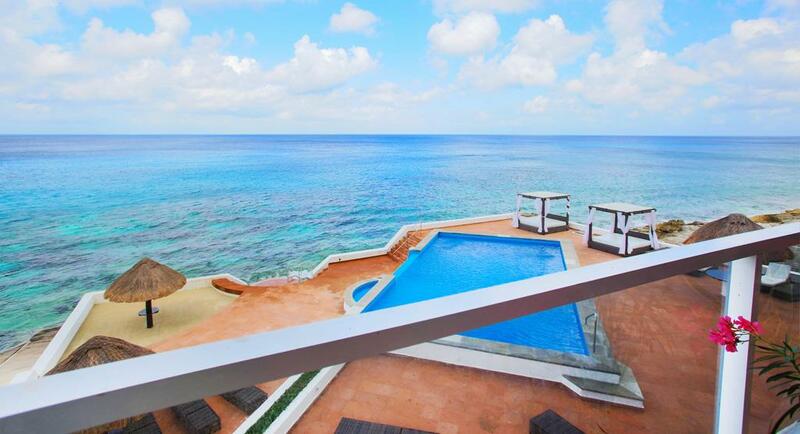 Your perfect life in Cozumel awaits. At Cedral Caribe REALTORS® in Cozumel, we are dedicated to helping you find the home of your dreams. We are Lifestyle Consultants above and beyond Brokerage. Contact us today for more information about life on Cozumel, or ask us any questions you have about purchasing real estate on the island. 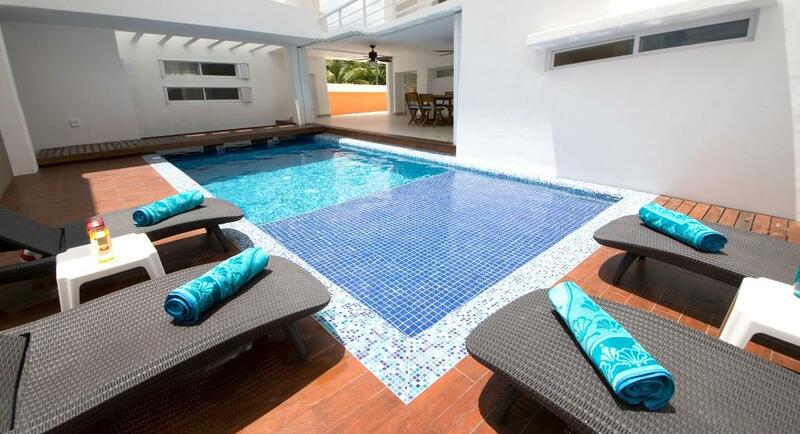 Do YOU want to get your own B&B in Paradise or own these beautiful properties? Let this dream become yours!